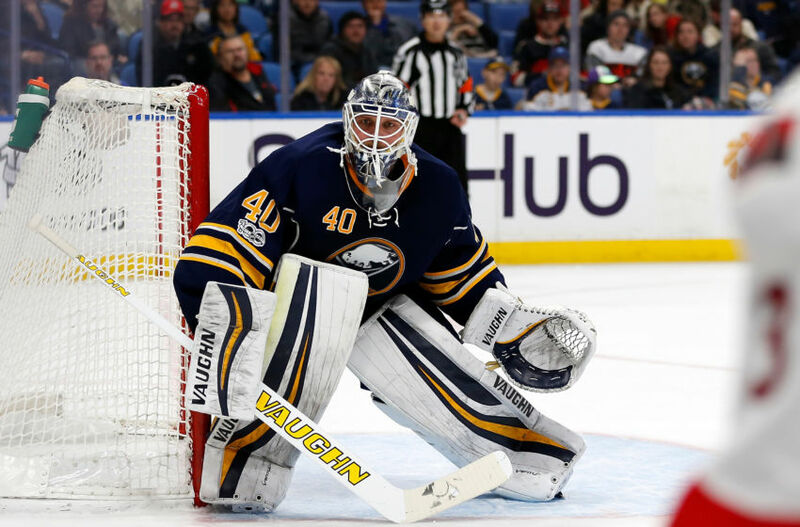 A somewhat surprising name was tossed into the rumor mill this week after Bob McKenzie noted that Robin Lehner could very well be shopped by the Sabres this summer. McKenzie noted that the Lehner’s arbitration rights and the potential to score a richer deal than Jason Botterill and the Sabres would be willing to offer being the two primary factors in shopping the netminder. He added that Botterill may not be sold on Lehner as a number one goaltender just yet. While that’s somewhat contradictory to what Botterill told Elliotte Friedman a couple weeks back, it isn’t too hard to read between the lines on what Botterill said. The idea of shopping Lehner is a curious one. He finally got over the hump of playing a full season and replicated the strong numbers we saw in limited action during 2015-16, erasing some of the lingering questions about his durability and capability to fill the role as a number one. His season was far from perfect but given Buffalo’s depth at the position and Lehner’s fairly strong play, creating a hole on the roster doesn’t seem like a prudent decision. Lehner’s arbitration status may be the biggest red flag in all of this as the idea of forking over $4m or more isn’t very palatable in my view. Even considering the strides he’s taken over the past season-and-a-half, I’m not sure forking over a long term, big money contract to Lehner is the answer this season. His resume is still too incomplete to justify a big contract nor is it so barren that he should be walked away from either. It’s a bit of a predicament that seems best solved by kicking the can down the road a bit with a short bridge deal. Simply walking away from him leaves the Sabres with a glaring hole where they don’t need to create one. My primary concern with this idea is that Buffalo is short on goaltending talent throughout the pipeline. Lehner needs a new deal, Anders Nilsson is an unrestricted free agent and Cal Petersen looks to be on his way to the open market as well. Expansion eligible Linus Ullmark is also a restricted free agent, leaving Jason Kasdorf and Jonas Johansson as the only goalies who are under contract. The free agent market is extremely thin, meaning that in the wake of moving Lehner, Botterill would be on the hook to acquire at least two goalies over the summer. The free agent market is stocked with career backups and a couple of fringe starters like Steve Mason and Ondrej Pavelec, both of whom would be serious downgrades at the position. Ryan Miller and Brian Elliott are the only two with true starters chops and Miller’s age ought to disqualify him from Buffalo’s perspective. If Lehner is being replaced, the replacement should be a long-term option, not a one year stopgap that offer the Sabres no marked improvement in net than where they are now. Even Brian Elliott, arguably the most talented goalie on the market, would only offer a couple of seasons of value before the Sabres would need to find their next goalie of the future. The trade market is hardly an improvement with the likes of Antti Niemi, Kari Lehtonen, Marc-Andre Fleury, Mike Smith, Cam Ward, Jaro Halak and Jimmy Howard as the most notable and available names. The proper route, as it was in acquiring Lehner in the first place, would be to target a goaltender ready to take the next step in their career development. Antti Raanta, Juuse Saros or Phillipp Grubauer would be great targets but those three will be squarely in the crosshairs of George McPhee as well. None of them would be cheap, likely meaning whatever the return you get for Lehner would be heading right back the other way. The other predicament is what the return for Lehner would be. Tim Murray, in case you didn’t hear, forked over a first round pick for the then 24-year old. It’s been a trade that’s been almost universally derided and finding that price in return would be extremely unlikely. The market seems to dictate that a second round pick might be in the ballpark for Lehener, a return I suspect most fans would be okay with. Lehner’s age and recent play would be enticing for any team in the market for a goalie, he’s younger than Brian Elliott, who was traded for a second round pick last year, but not as polished as Frederik Andersen, who went for a first and second. Ben Bishop garnered a fourth round pick while Scott Darling earned Chicago a third as pending UFAs this summer. Both were pending unrestricted free agents, driving down their price to an extent. Lehner had a much stronger season than Bishop did last year and he has age, contract status and playing history on his side as compared to Darling. So a second round pick seems right on the money for Lehner. Finding a suitor at all won’t exactly be an easy venture. By my count there are six teams who would have interest in Lehner; Calgary, Vancouver, Winnipeg, Arizona, Philadelphia and New Jersey. Of those six, Vancouver and Winnipeg both possess promising young goaltenders who have yet to fully take the reins. Philadelphia, Arizona and New Jersey would all need to move their current number one goaltenders to make room for a new face. That being said, all six have been said to be in the market for a new number one goalie for one reason or another. Calgary would be the most obvious team to target as Elliott and Chad Johnson are unrestricted free agents and Jon Gillies probably isn’t ready to be a true number one just yet. Arizona might be the next best option despite needing to find a new home for Mike Smith prior to making an addition. Winnipeg and Vancouver each have goalies of the future being groomed as we speak, but Connor Hellebuyck took a step back this year and it seems like Vancouver’s crease will belong to Thatcher Demko not Jacob Markstrom once the former is ready. 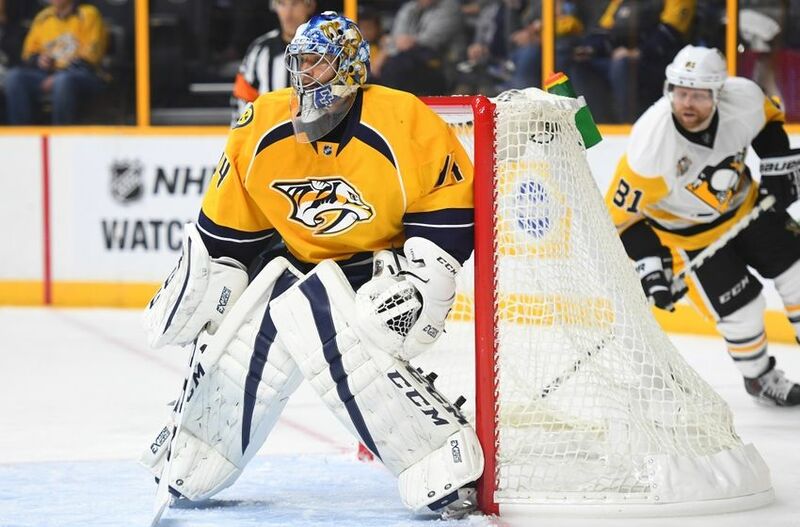 If a new goalie is needed, I’d hope Juuse Saros is the choice. One other curious path would be New Jersey as they embark on their rebuild. Perhaps there is a deal that swaps Cory Schneider and Lehner, allowing the Devils to get younger in goal and a bit more flexible in terms of contract. Schneider is a personal favorite of mine but at 31 I wonder if he’d provide the type of long-term answer the Sabres really need. If Botterill is hellbent on shopping Lehner, the only justifiable return would be to acquire the likes of a Raanta or Saros (he’d be my choice) to take over as Buffalo’s number one goaltender. To ship Lehner out only to bring in Fleury or Halak would leave the Sabres in the same or potentially a worse situation than they’re in now. Lehner has become more of a known quantity than he was at this time last year. It seems far more prudent to ride him for another season than to cut bait with so little available in terms of a replacement. My fear is that if Botts decides to move on from Lehner that MAF is his guy. It would be like Murray going after Lehner. GMs do love “their guys”…. My fear as well. I’d be very curious to see the reaction to such a move as it would be no different, if not worse than trading for Lehner was in the first place. I really think getting rid of Lehner would be a huge mistake. Why get rid of a goalie that’s both young by a goalies’ standard, proved he could play very well through 60 (59) games like a #1 should and is still developing his skills? I’m not saying sign him long term right away, but to not offer him at least a bridge deal would be downright stupid imo. He was top 10 in SV% among goalies who played at least 50 games. That’s gotta count for something.